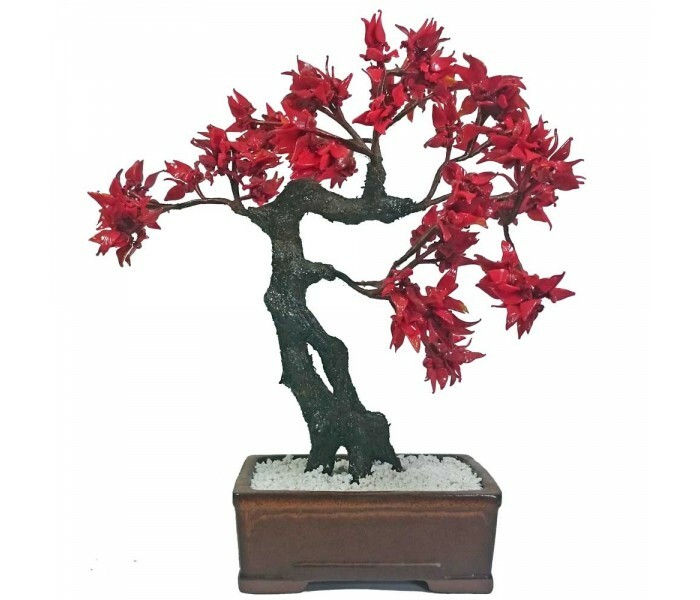 Artifical Bonsai Tree - 35cm Tall Approx - Oriental Gifts from Got-Bonsai? Artificial bonsai tree with glass leaves in a ceramic pot. 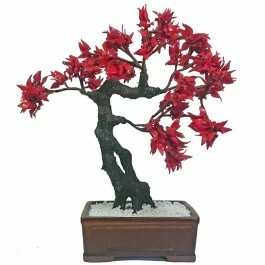 Twist and shape the branches as you wish but it will never need water or care!! Chinese made artificial bonsai tree. The "leaves" are made from glass and the pot is ceramic. Each is hand finished and unique so there is a little variance from the picture. Measures approx 35cm tall and the pot measures 16cm across. Twist and shape the tree as you wish but it will never need water or care! !